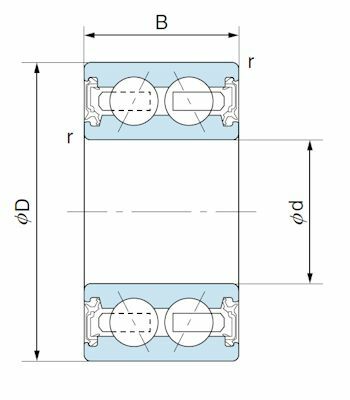 Double-row angular contact ball bearings for automotive air conditioning magnetic clutch applications. All dimensions in mm unless indicated. Top quality bearing for my Mercedes air con compressor clutch, Delivered next day, with loads of communication to confirm it was coming. Saved me a fortune over buying a new assembly from Mercedes at £350! Thanks Wych, great service.